Awesome UX kit is a free set of 26 Adobe Illustrator wireframe templates and two custom brushes, designed by George Vasyagin. 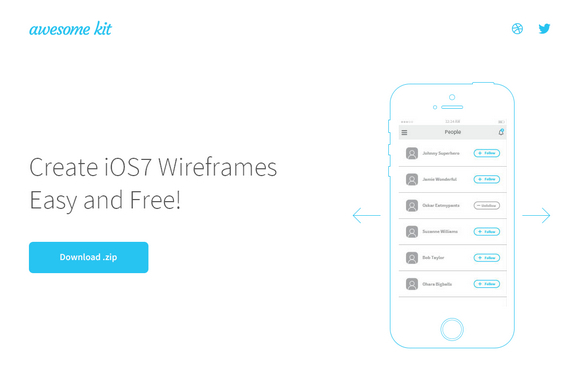 At this point “Awesome UX kit” is totally FREE and comes for iOS7 (iPhone) version only. Tablet and Desktop versions coming very soon.